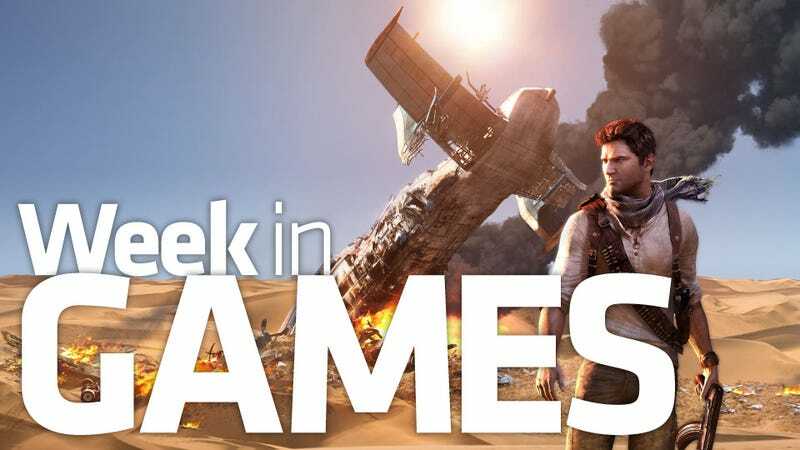 Uncharted 3 releases for the PS3 on Tuesday, along with GoldenEye 007: Reloaded, Sonic Generations and The Lord of the Rings: the War in the North. Batman: Arkham City and Gears of War 3 get downloadable content. Also: Air Conflicts: Secret Wars (PS3); Batman: Arkham City—Nightwing DLC (PC, PS3, 360); Cabela's Adventure Camp (PS3, Wii, 360); Cabela's Big Game Hunter: Hunting Party (360); Cabela's Survival: Shadows of Katmai (PS3, Wii, 360); Fate/Extra (PSP); Gears of War 3: Horde Command Pack (360); Generator Rex: Agent of Providence (3DS, DS, PS3, Wii, 360); Harvest Moon: The Tale of Two Towns (3DS); James Noir's Hollywood Crimes (3DS); JASF: Jane's Advanced Strike Fighters (PC); Jimmie Johnson's Anything With an Engine (PS3, 360); Motion Explosion! (360); MotionSports Adrenaline (PS3, 360); NASCAR Unleashed (PS3, Wii, 360); NCIS (PS3, Wii, 360); Otomedius Excellent (360); The Kore Gang (Wii).